Now that Thanksgiving is almost here, it’s time to start planning the menu and the decor. 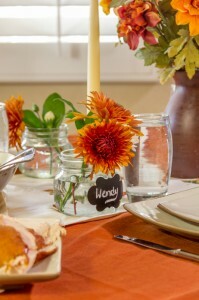 Making DIY Thanksgiving party decorations can be easy, inexpensive and fun. 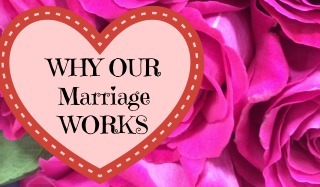 Here are a few tips for making your own. 1. Decorations don’t need to be expensive. Use things you already have at home and then make a stop at the dollar store for the rest. 2. Keep it simple. Don’t try to make something really difficult, go with something that looks easy. It will take less time and you won’t become overwhelmed. 3. Let your kids get involved. It will be fun for everyone and it’s great quality time together. 4. Don’t worry about being perfect! Have fun, get creative and you will be surprised at how talented you really are. 5. Don’t wait till the last minute. Start a couple weeks ahead of time so that you don’t end up pressed for time and not able to finish your DIY party decorations. Not sure what to make? 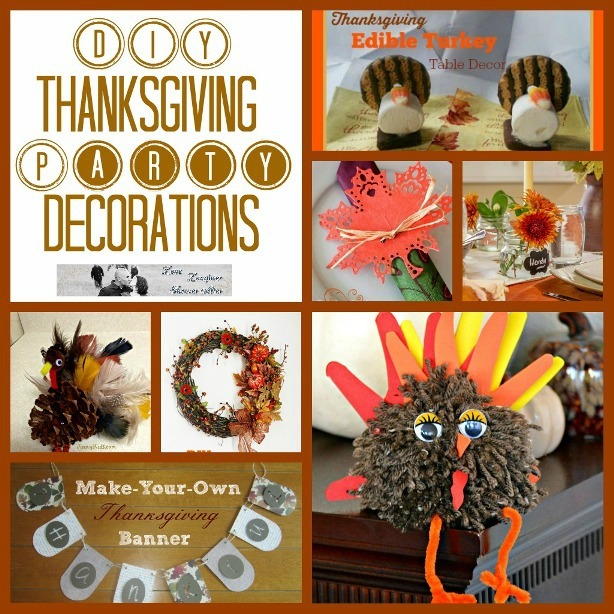 Take a look at these inexpensive, easy to make DIY Thanksgiving party decorations for some inspiration. 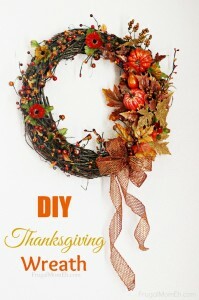 Guests will be impressed by this beautiful Thanksgiving Wreath as they arrive at your door. 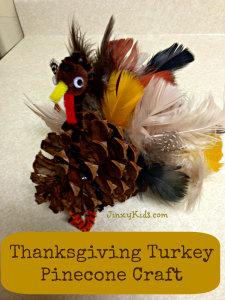 Kids will love making this cute Thanksgiving Turkey Pinecone Craft and they will look adorable on your table. Let everyone how how thankful you are with this simple but elegant looking Thanksgiving Banner. 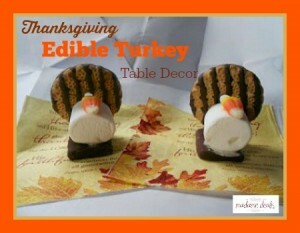 These little Edible Turkeys pack a double punch as table decor and a sweet treat! 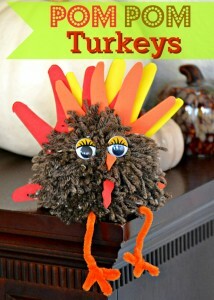 Make these Pom Pom Turkeys with your little ones and them place them around the house to decorate. 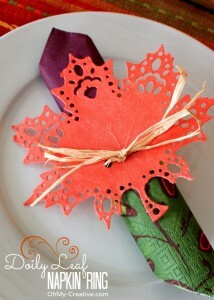 Add an extra special touch to your dinner table with these Fall Doily Leaf Napkin Rings. These Easy Place Cards are lovely and you can make them in just a few minutes. 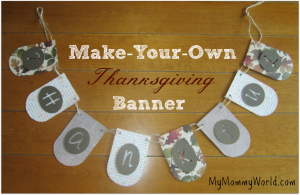 Thanks so much for featuring my Thanksgiving Banner! I think I’m going to try out the easy place cards this year…they are so cute! Thank you for allowing us to do so.